iMyFone TunesMate is a great file transfer tool that allows you to transfer different types of files (including videos) from your iPhone X/8 Plus to your Mac or Windows PC without damaging your iTunes library. It has a nice user-interface and a lot of extra features that you can benefit from. It makes your backup and restoring process fast and convenient and is definitely a superior way to do it as compared to other three methods. You can find many reviews of this software from other websites, such as Getintopc, Geekreply. Transfer media from your iPhone X/8 Plus to PC/Mac and vice versa. You can use it to rebuild your iTunes library with a single click. Uninstall multiple apps simultaneously to free up space or remove bloatware. Several files types are supported including (but not limited to) videos, movies, photos, music, podcasts, playlists, audiobooks, etc. Step 1: Download and install iMyFone TunesMate on your Mac and launch it. Connect your iPhone X/8 Plus to your Mac and wait for iMyFone TunesMate to detect it. Step 2: Now click on Videos tab located at the top of the software’s interface. It will list all the videos available on your iPhone. 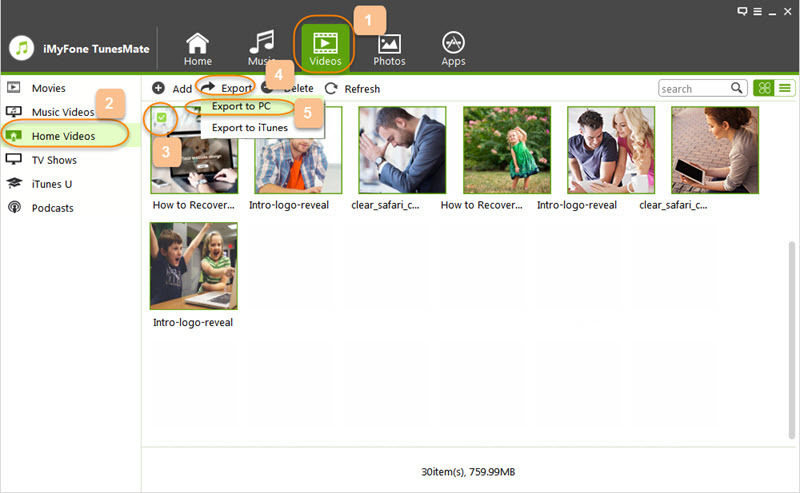 Step 3: Select the videos you wish to transfer and then click Export option located at the top. Step 4: iMyFone TunesMate will ask you to confirm your action. Click on Transfer button to proceed. Your videos will be successfully copied and you will be notified as well. Step 1: Connect your iPhone X/8 Plus to your Mac and launch Image Capture. Step 2: Image Capture will show your connected iPhone on it’s homepage. Select it from the sidebar. Step 3: Now use ‘Import to’ option in order to transfer your videos. 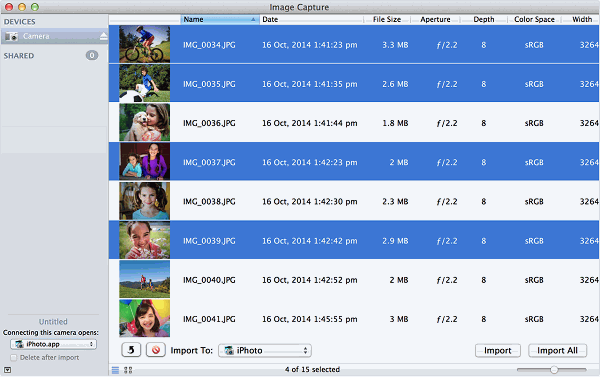 Image Capture will ask you the required location to transfer your files, choose your desired folder on your Mac and confirm your action. Step 4: After the above step, you will be able to select the videos you wish to transfer. The transfer process will start once you click Import option. Step 1: Connect your iPhone X/8 Plus to your Mac and launch iTunes. 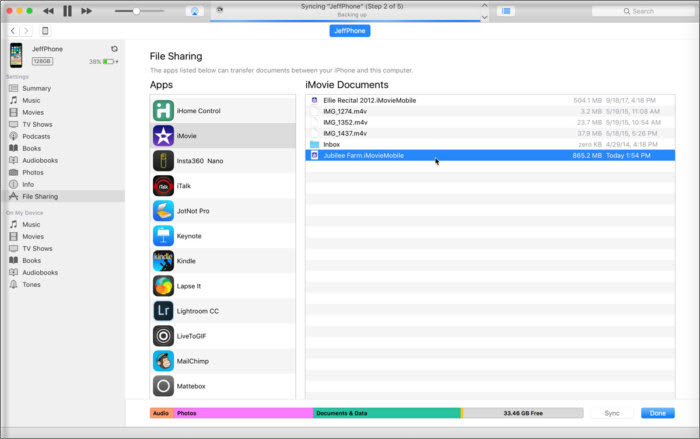 Step 2: Click Apps from the sidebar and then select File Sharing option. Step 3: Now navigate to your videos folder and select your desired videos and then choose Sync option. Step 4: Once you click the Sync option, your selected videos will be transferred to your Mac. Step 5: Alternatively, you can also use Import option on iTunes to transfer your videos. 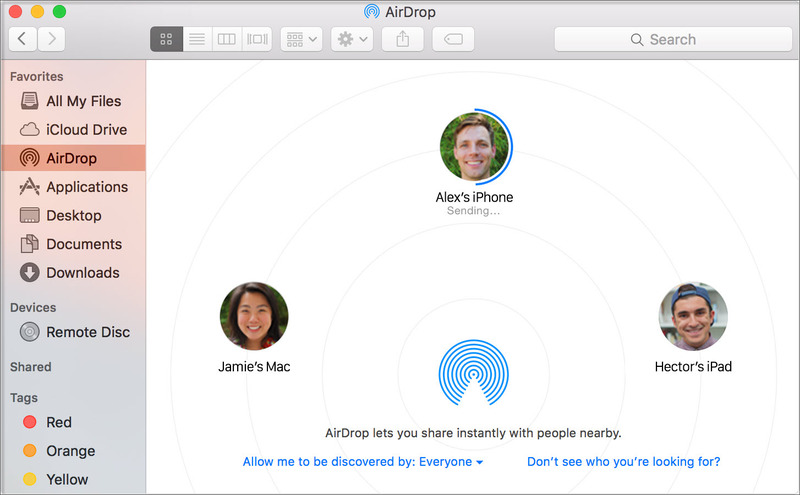 Step 1: Launch AirDrop on your Mac and choose receive content from everyone option. Step 2: Now use Action Center on your iPhone X/8 Plus and turn on AirDrop. Step 3: Choose videos on your iPhone from Camera Roll or any similar app and tap share icon. Then select your Mac from the available options. You will also need to click Accept on your Mac. Step 4: Once you perform these steps, your selected videos will be transferred to your Mac.